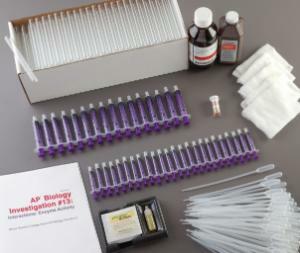 Meets AP Science Practices 4, 5, 6, and 7, and Big Idea 4. 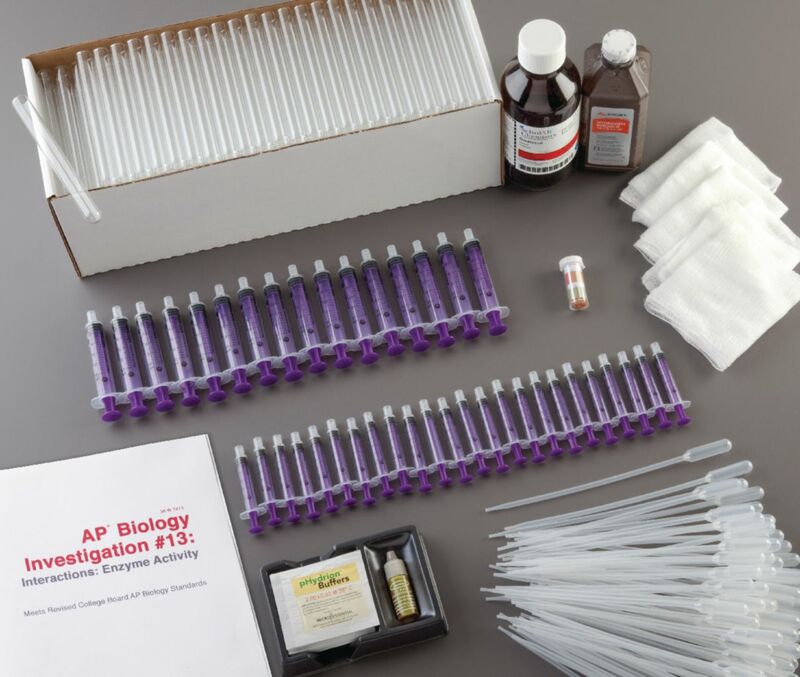 In this set of investigations, students will estimate the rate of enzyme activity under a variety of experimental conditions to discover methods for executing chemical reactions with greater efficiency. Students use an extract of turnips containing the enzyme peroxidase, which reacts with its substrate (hydrogen peroxide) and a color indicator (guaiacol) resulting in the formation of a product (O₂). Students additionally develop data collection strategies and analyze their results. A refill kit is available and contains only consumable component items it does not contain additional student or teacher guides. Accessories information: Refill kit contains only the consumable component items, and does not contain additional copy masters. 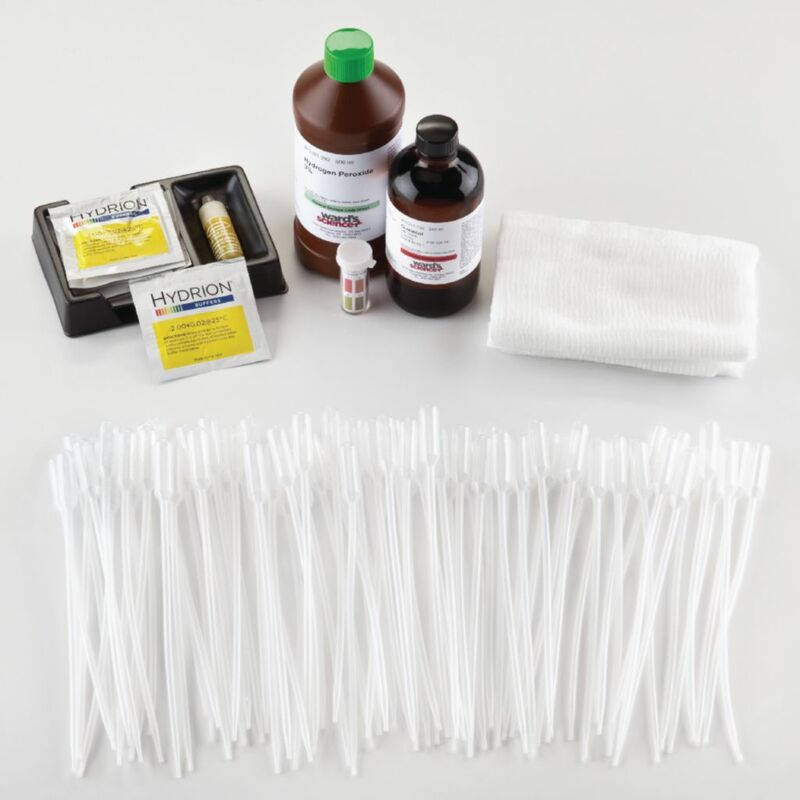 Ordering information: Kit contains the following materials for 8 groups of students: assorted buffers, pH paper, culture tubes, cheese cloth, pipets, hydrogen peroxide, syringes, guaiacol, instructions, and copy masters.